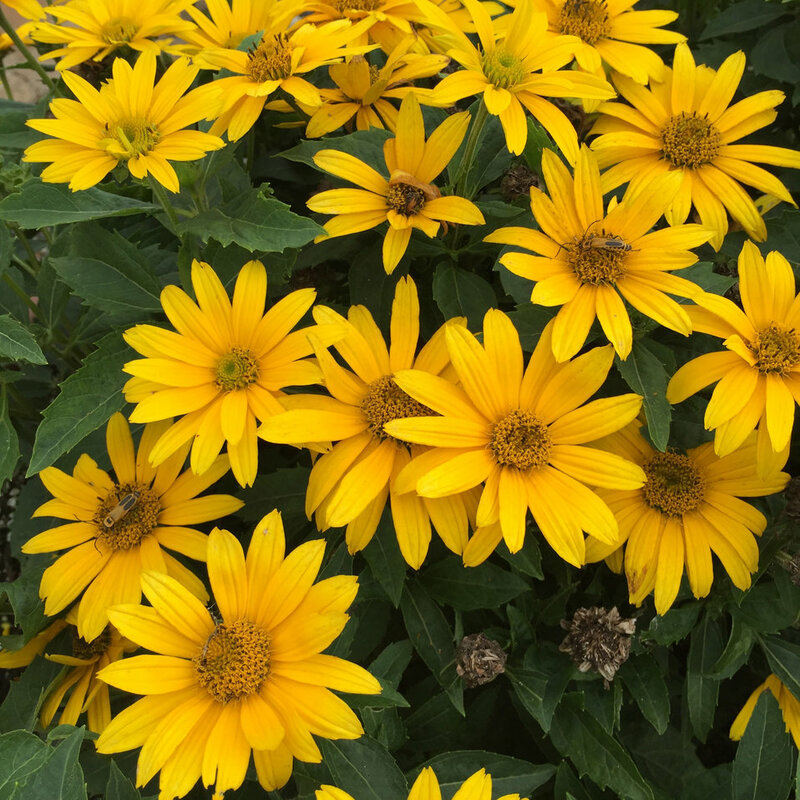 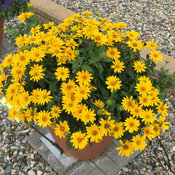 A showy perennial with sunny yellow flowers that’s perfect for your sun garden! 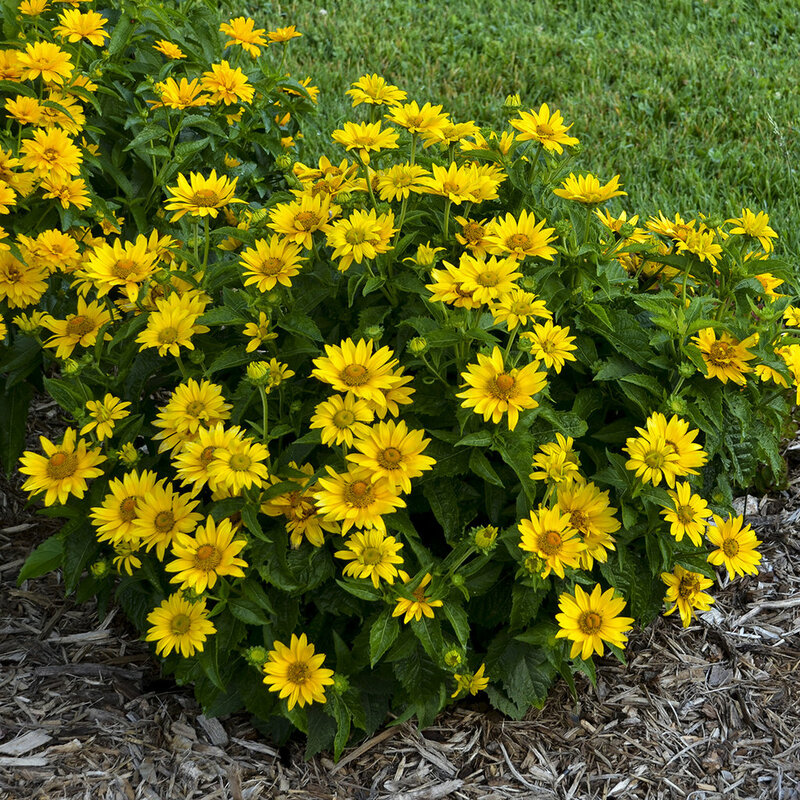 Forms a compact, upright habit with dark green leaves. 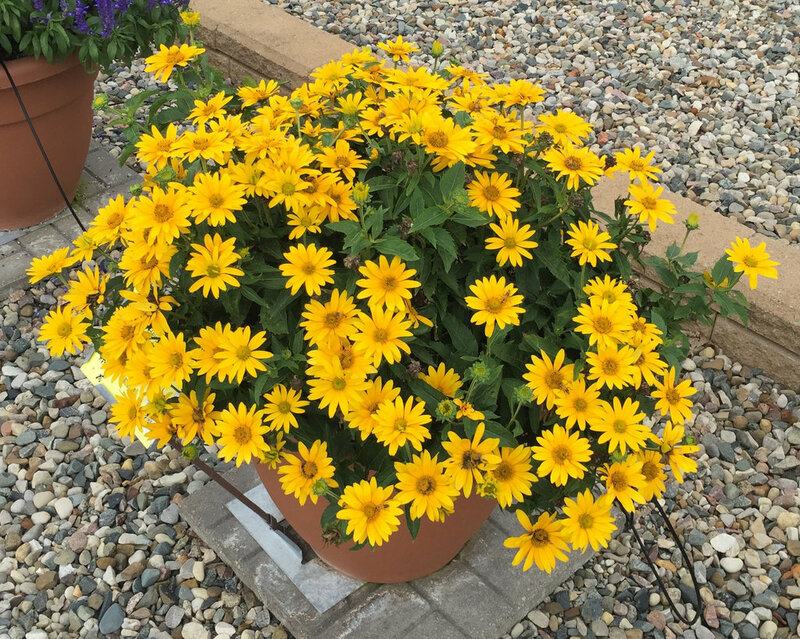 Removing spent blooms may help encourage additional blooming. 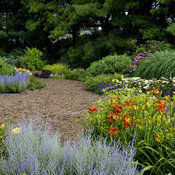 Winter mulch can reduce heaving that can occur with perennials from the freeze/thaw cycles of winter. 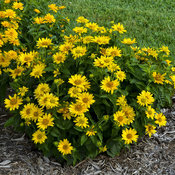 Tuscan Gold is heat tolerant and will tolerate somewhat dry soils. 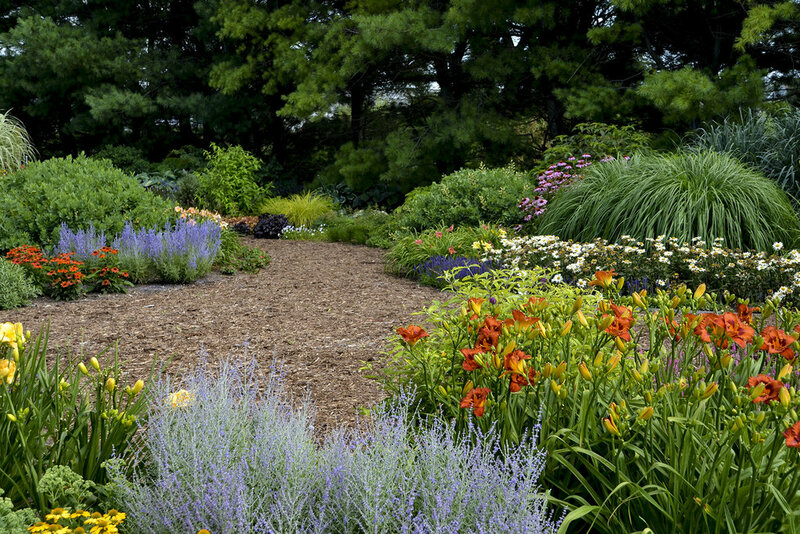 While deadheading may encourage additional blooming it isn't strictly necessary for a long bloom season. The breakthrough here is an easy flowering Heliopsis with a shorter plant size, outstanding garden performance and disease resistance. A long known great garden plant with good manners and a long flowering season, also makes a great cut flower!